This wasn’t a great reading year. At least not during the second half of it. I’ve read so many books, I didn’t even bother reviewing because they left me cold. On the other hand I read a lot of nonfiction I loved but didn’t review either. That’s why, for the first time, my list was very easy to compile. Pick it up. It’s really worth it. If you love post-apocalyptic stories, you’ll read it anyway. If you don’t, maybe it will show you that not every book about the end must be traumatic. Certainly not one that makes you grateful for everything we have and, ultimately, shows that it’s possible to find beauty, no matter what will happen to our world. Nothing illustrates the message of the book better than the reversal of Sartre’s famous quote L’enfer c’est les autres – Hell is other people. In the novel Kirsten thinks that he’s wrong. She has come to the conclusion that hell is the absence of people you feel close to. I found it hard to believe at times that this book was written in 1965. The open discussion of abortion and sexuality seemed far more modern. It made me wonder if we’re not living in more prudish times now. 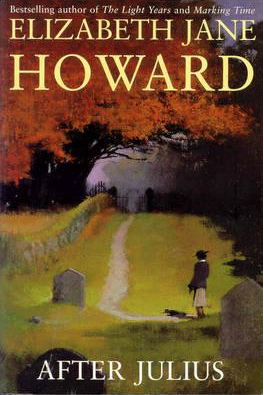 Before ending this post I have to mention Elizabeth Jane Howard’s descriptions. They are stunning. When she describes a room, a scene, clothes, anything, she makes full use of these descriptions. It’s never just a random description but it always contributes to the understanding of a character, enhances the mood, sets the tone. It’s still early but I wouldn’t be surprised if this book would be among my best of this year. Since she reminded me of many writers I absolutely love —Elizabeth Taylor, Rosamond Lehmann, Jean Rhys, Elizabeth Bowen — I know I’ll be reading more of her. 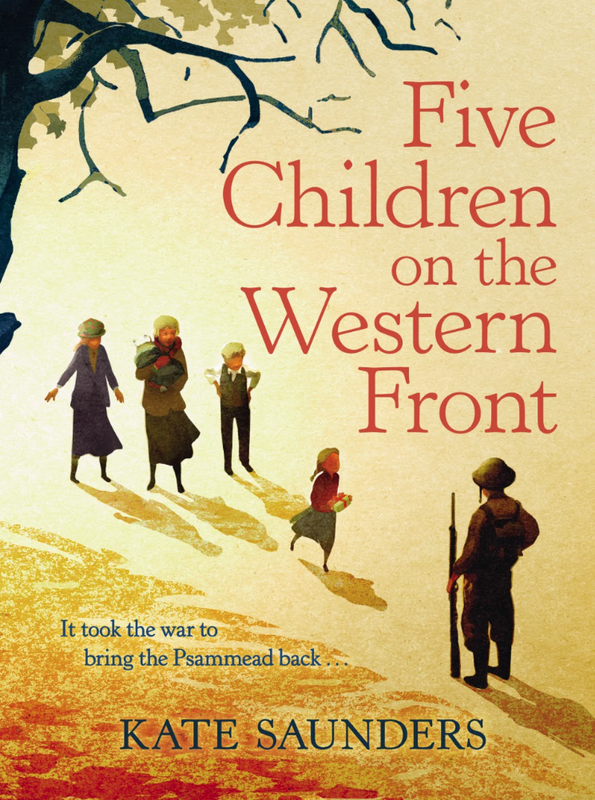 Five Children on the Western Front is a delightful story inspired by E. Nesbit’s famous children’s book Five Children and It. I’m still surprised how much I loved this book. I’m not always keen on sequels of classics, but since I haven’t read Nesbit’s tale yet, I couldn’t compare. And I’m aware that the main character of the book “It” – or Psammead -, the sand fairy, is Nesbit’s creation and not Saunders’, nonetheless her book offers many new elements. I really recommend this novel. It’s charming and sad. I thought she did well not to modernize it. The children sound like children of the time, which gives the story a nostalgic feel. 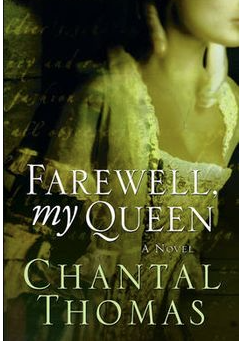 Farewell, my Queen is unlike any other Marie Antoinette novel I’ve read. It could only have been written by someone who has done extensive research. Still, it’s moving and nostalgic and really beautiful. It’s almost as good as my favourite historical novel L’allée du Roi – The King’s Way by Françoise Chandernagor, which tells the story of Mme de Maintenon. The two novels complement each other, as we see Versailles still under construction in The King’s Way and abandoned in the later book. I can’t praise this novel enough and would really like to urge everyone to read it. It’s not only a joy to read but illustrates what great writing can do. It will be on my “best of list” at the end of the year and I might even add it to my all-time favourites. It would be like someone coming to Malvern, bland Malvern, who is halted by the thought that Edward Elgar walked this road on his way to give music lessons or, looking over to the Clee Hills, reflects that Housman had stood in place, regretting his land of lost content. And, at such a time, for a few of us there will always be a tugging at the heart— knowing a precious moment gone and we not there. 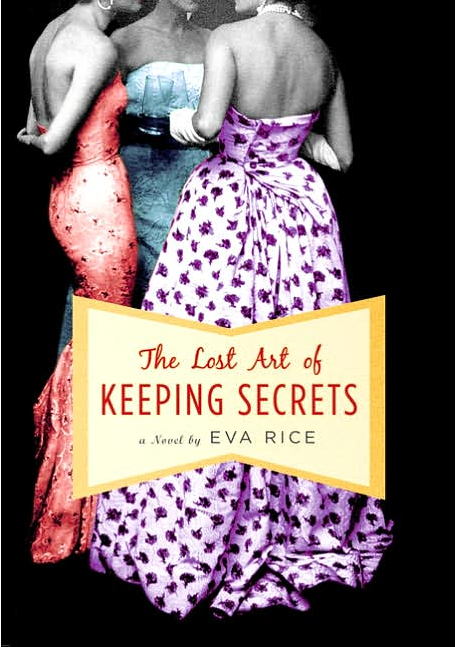 The Lost Art of Keeping Secrets is a smart, charming, exuberant book, filled with witty, endearing and eccentric characters, whose sharp insights, clever repartee, and uncrushable optimism are a delight to follow. If you need some intelligent cheering up—this is the book for you. One Fine Day is intense and lyrical, a novel for those who like introspective books and don’t need a lot of action. But it’s also masterful because of the delicate way Mollie Panter-Downes uses motifs and other recurring elements that reinforce the themes of loss, change and – more positively – transformation. And how she juxtaposes the lives of her two main characters, who undergo, in one single day, a whole transformation, believing at first that they each want what the other has – an independent life, leisure to savour what a day brings -and then discover – it’s already there – they just have to grab it. Sorry, this one hasn’t been translated yet. As I said, I’m really grateful Stu suggested this book. I loved every moment of it. It’s so rich, intense, and full of life. But also highly intelligent and lucid. It says a lot about being human and getting older. About history and how it repeats itself again and again. And about the humans who think they are the crown of creation while they are not. And I shouldn’t forget to mention that, at times, it’s a very funny book. The book explores the question of how much we can really understand of a foreign country. I liked that Anne never accepted to stay an outsider. She wanted to be part even if that meant that she put herself in danger. 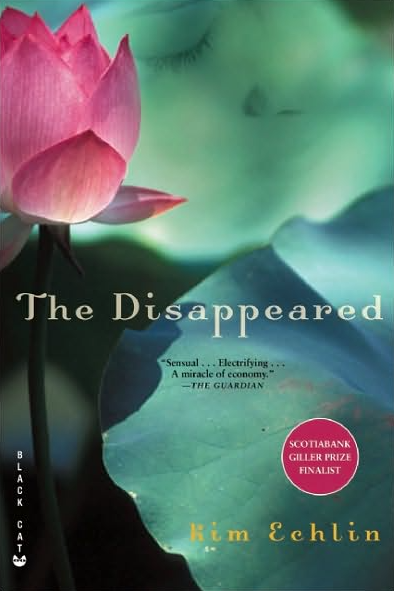 The Disappeared isn’t easy to read but I loved this haunting book. It’s an amazing achievement, an intense, lucid, lyrical, and compassionate novel about a devastating conflict and a love that surpasses everything. As you may have noticed I decided to leave out the crime novels, although in terms of thrillers and crime, the year wasn’t bad at all. I even discovered four authors I really liked and want to read more of: Phil Rickman, Elly Griffiths, Louise Millar, and Laura Kasischke. Thanks, Karen. I hope so too because honestly – there were a lot. Wonderful list, Caroline! I was looking forward to your post 🙂 I want to read ‘Station Eleven’, ‘The Leopard’, ‘Farewell, My Queen’ and ‘One Fine Day’. 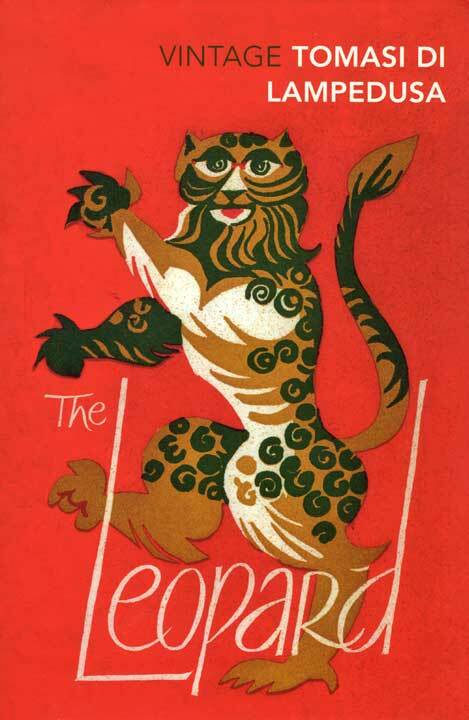 I have ‘The Leopard’ on my bookshelf and so I am planning to get started on it soon. Thanks for sharing your favourite list. Hope you have a wonderful reading year in 2016. 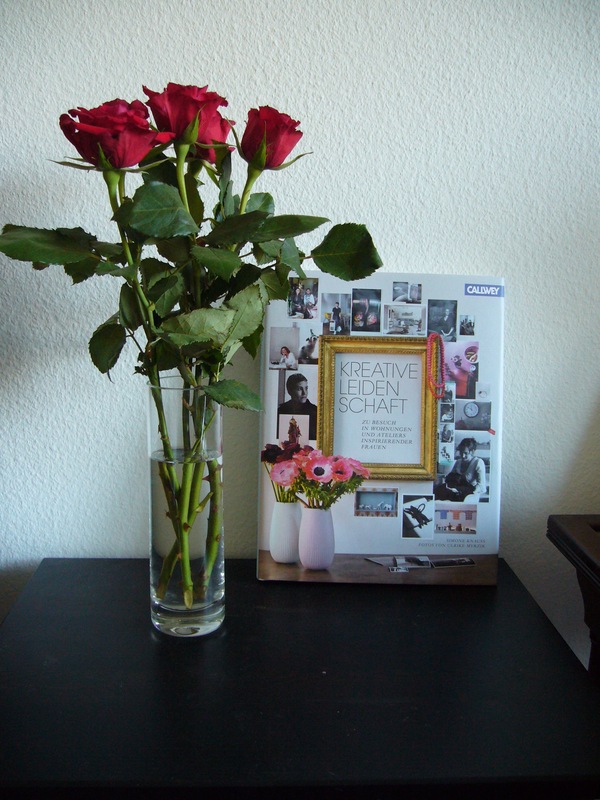 Thanks, Vishy and thank for the wishes. I need them. 🙂 The beginning of the year was very good but then it went downhill. I hope you’ll enjoy the books. I’m looking forward to hear what you think if them. Great list. I haven’t read Station Eleven, but it’s on my TBR list (my other half really liked it). I hope 2016 is a better reading year for you! Thanks. I hope so too. It’s sad when you pick one dud after the other or are just left cold. I hope you’ll enjoy Station Eleven as much as I did. Just as I posted that comment I realised it sounded like I was suggesting your list was one of duds; not my intention, of course. My apologies. No worries. I didn’t read it like that at all. It was odd that I had so many duds but I think I know why. I hope I can avoid those in the future. 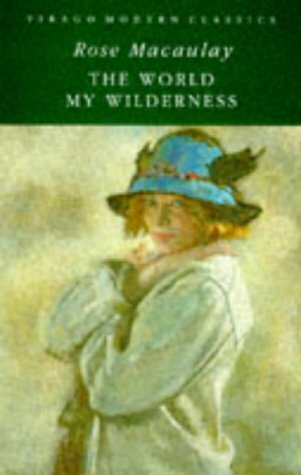 The World My Wilderness is a wonderful book but I’m sure she’s written other’s I would like. It seems that my best of lists often feature more women writers. Ah Barbara Comyns – I realy want to read her. I’m looking forward to your list, Simon. I’m sorry to hear 2015 wasn’t the best of years for you on the reading front. That said, you’ve got some wonderful books on your list of highlights. As you know, I’ve included The Leopard and One Fine Day on my Classics Club reading list, so it’s good to see them featured here. I’m also looking forward to reading A Month in the Country – I’d intended to get to it towards the end of the summer but for whatever reason it didn’t happen in the end. I just know I’m going to love it, though – next summer, hopefully. Thanks for all the excellent reviews this year, Caroline – I’m looking forward to seeing what you’ll be reading in 2016. It really was the last part of the year that wasn’t so great. Maybe the books I started the yera with were just too strong. I’m sure you’ll like The Leoprad, One Fine day and A Month in the Country. Or – I hope so. I’m looking forward to your posts as well, Jacqui. They are always so thoughtful and put me in the mood to grab most of the books you liked. That’s a lovely list of books, and the Macaulay in definitely on my list for next year. I’m sorry this wasn’t the best of reading years for you, and hope next year will bring you more books to love. There are years like this. I guess it wasn’t only the books. I just had a few months during which nothing really pleased me. I can’t wait to hear what you think if the Macaulay. Lovely list and a great idea to pick the best of the year again – gives me a few ideas for next year (The Leopard! 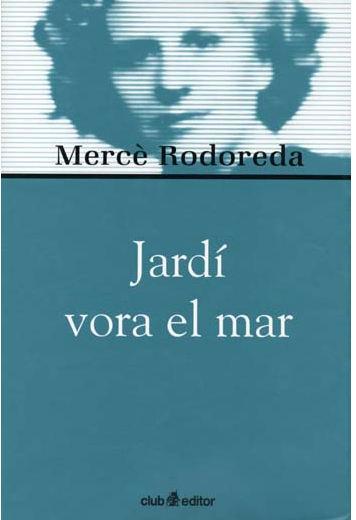 Rodoreda, but maybe with another book of hers!). My reading year wasn’t bad regarding the quality of the books I read, it was just a bit marred by the fact that I was so extremely busy with work and some other projects. But lately my reading is back to normal in terms of quantity. True, there are a lot of books I read that I didn’t review, but it was mostly lack of time. In 2015 I read more non-fiction, more poetry, more prose from countries/regions where I have lived or live (Balkans, Middle East, Indonesia). I’ve got another of Rodoreda’s novels here. In Diamond Square. I did pick a lot of books I found mediocre. The question is – why did I even buy them? 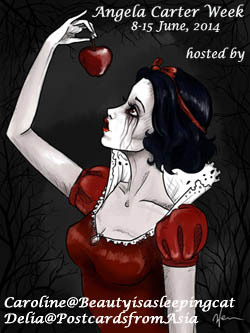 I also read a lot of short/flash fiction I didn’t review. Mostly lack of time in those cases. What a lovely selection. 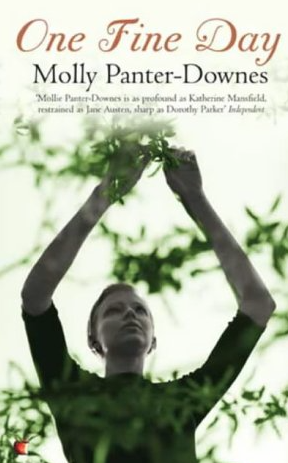 I am sure I have a copy of The World my Wilderness somewhere – I have not yet read One Fine Day but so loved Mollie Panter Downes’ short stories it is one I will get to eventually. Thanks, Ali. I’m so curious to hear what you think of One Fine Day and THe World My Wilderness. I would be surprised if you didn’t like them. Fascinating list. I haven’t read one of these, though have heard of a few of course, and imagine that I would like them too! One day I must read The leopard! Perhaps it’s one for the Kindle. Thanks, Gummie. Yes, I think you would. I do hope you’ll read The Leopard. It’s marvelous. This is a great list Caroline. I want to read every one of these books. I will likely get to at least get to Station Eleven in the next few months. I hope you get to read some of them. At least Station Eleven. I’m looking forward to read your thoughts on it. A Happy New Year to you as well, Brian. Sorry you had to read a lot of duds, Caroline. I feel that way about movies this year. Such promise and such disappointment. I have to tell you, I just finished Mind of Winter and loved it. Now I want to read all her books, so thanks for that! I didn’t even bother with most movies this year as I was so disappointed last year. I’m so glad to hear you liked Mind of Winter. I’ve already got another if her novels here and hope to read all if them as well. Thank you for this list, Caroline. 🙂 I am adding most of it to my TBR. ‘The Disappeared’ sounds very interesting. I’m going to try reading it this year. My pleasure. 🙂 I’m looking forward to your reviews. I hope you’ll like The Disappeared. It’s a tragic book but beautiful. Love A Month in the Country especially on this list! And have picked up a few new suggestions as well as a gentle nudge to finally read that copy of The Leopard that has lingered on the shelves so long. Happy new year and happy reading! Thank you, France’s. Happy New Year to you too. The Leopard is amazing. Glad to hear you like A Month in the Country as well. Some of the books on the list go very well together. Happy 2016. 2015 was weird in many ways. Not just the reading. But it had great moments too. I think I need to read more dystopian/post apocalyptic books because I clearly like them. That said – Station Eleven did stand out. Eva Rice was one of the biggest surprises. It tells me I have to read I Capture the Castle soon. I’m curious to see how you will like After Julius. A Month in the Country and One Fine Day are both FANTASTIC books. I bought The World My Wilderness after reading your review BTW. So glad to hear that. I feel they echo each other. At the very least complement each other so I’m curious to see what you think of it. Even a “bad” reading year can produce a good list, it seems! Happy New Year Caroline, all the best in books etc. for 2016. If all the books had been like those on the list, it would have been a stellar year. The only one I’ve read there is The Leopard which is of course excellent. I am glad to hear of someone else who doesn’t bother reviewing books that aren’t worth writing about. I was once criticised for only writing good reviews. Life is too short to review dross however. 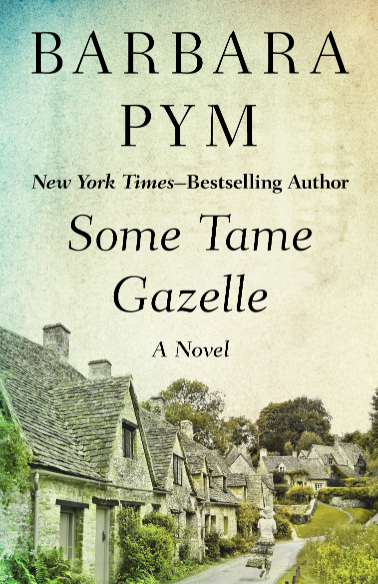 I did write a few less than glowing reviews but only because I had strong reactions but when I feel abolsutely nothing for a book, just a mild disappointment that I lost time with it – well then I’m not going to loose more time reviewing it. The next step will be not to finish those books. I enjoyed your review of your favorite books from 2015. Station Eleven was on by “best of” list also. I’ve recommended this novel to several people. Images from the story have stayed with me since. Have you read the novel Brooklyn, by Colm Toibin? It’s a “quiet” story, but one that I truly enjoyed. He is a gifted storyteller. Station Eleven is fabulous. Did you post a best of list? I’d love to see it. We often like some of the same books. I still haven’t read Brooklyn or any other of his novels but I really want to. Thanks for the nudge. 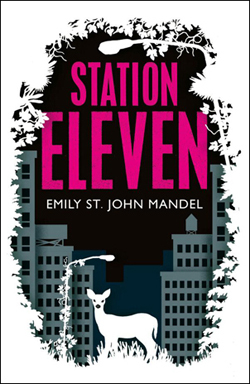 I’d love to read Station Eleven. Post-apocalyptic stories fascinate me. I could argue that both Sartre and Mandel are right about that quote, we’ve probably all been on one side or the other at different times in our lives. I hope 2016 is a much better year for everybody, not only reading-wise but all around. I hope so too, Delia. It really wasn’t an easy year. I know yours wasn’t either. I’m sure you’d like Mandel’s novel. I had phases during which I would gave agreed more with Sartre and others during which Mandel’s view was closer. My year was pretty good, and I’m sorry yours wasn’t better. Still some corkers there though. 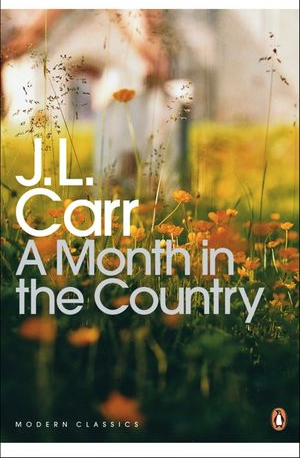 I don’t think I know any blogger who’s read that Carr and then not had it in their end of year list. It’s a marvel isn’t it? I’d forgotten how good a case you’d made for The Leopard, a book that was in my mental category of respecting from a distance rather than reading (as in I’d long idly wanted to read it, but it never moved much beyond that). I’ll go pop it now on a wishlist to pick up hopefully later in the year when I have a bit more time. Count me as another echoing the Brooklyn recommend. I do think you’d like it. It was a very strange year, so it might have affected my reading and my book choices. Carr is a marvel. But as much as I liked it – it didn’t make it on my best novels I’ve ever read list. But The Leopard did. Right up there with Bassani and Pavese. I’m really looking forward to hear what you think of it.